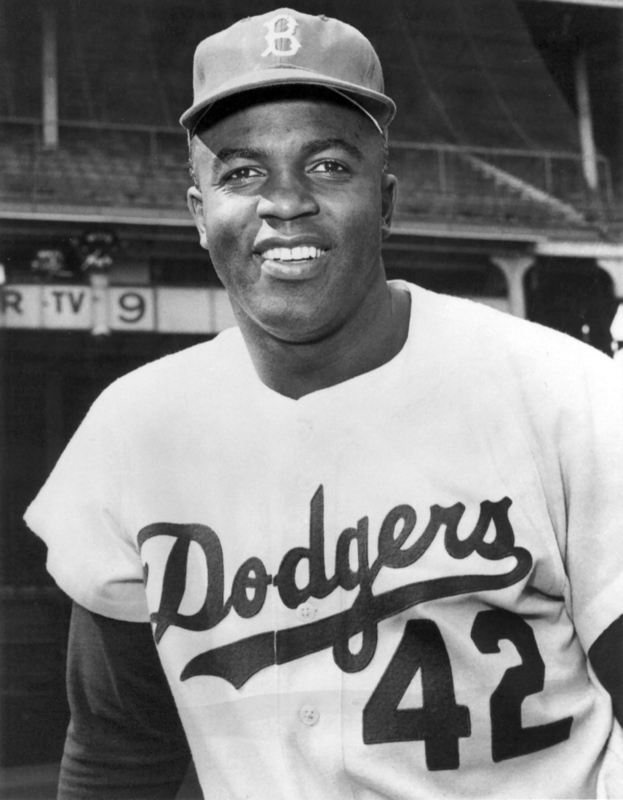 Jackie Robinson began his ten-year baseball career by breaking the sport’s color barrier in 1947 when he joined the starting lineup of the Brooklyn Dodgers. As the first African American to play in the majors, Robinson’s illustrious career included being named Rookie of the Year, playing in six consecutive All-Star Games, winning a World Series title and being inducted into the Baseball Hall of Fame in 1962. Later, he became the first black television analyst in Major League Baseball. His legacy is celebrated every April 15, when all players on MLB teams wear his retired number 42 in his honor.